I think the portaloos need cleaning! 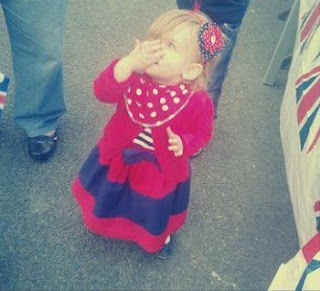 OMG mother - you aren't wearing red, white and blue - the Queen will have your head for this! I've misplaced my nose,anyone seen it?